Since the concept of the Silk Road as an avenue of inter-civilizational exchange emerged more than 130 years ago, scholars from both Eastern and Western societies have conducted persistent research to advance the field. Still, however, not nearly enough research has been conducted, and scholars present conflicting theories. 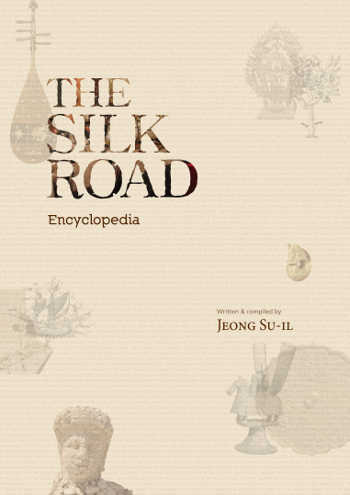 This book, written and compiled by Jeong Su-il, a prominent Silk Road expert of South Korea, aims to rectify the common misconception of the Silk Road being a simple trade route and shed light on the aspect of an interconnected global circuit of inter-civilizational exchange. The more than 2,000 entries in this encyclopedia explore all the exchanges that occurred between civilizations as a direct result of the Silk Road, showing artifacts and written records to track the paths of such exchange along the Silk Road and its neighboring regions. To write this book, the author has consulted a wide range of material, including overseas texts concerning Silk Road civilizations, world-renowned travelogues, and data extracted from on-site studies. Might Conan O’Brien have exposed a culture gap between Koreans and Korean-Americans? Could Mt. Baekdusan be ready to go? Bears on two legs. What’s this world coming to? Gyeongbokgung and Changgyeonggung will be opening up at night soon. The Hanbok is enjoying a revival. Lots of sansuyu in Gurye. Fields of azalea in Geojedo. Lots of azaleas in Gimpo, too. Come hear American rock band The Winery Dogs in the comfy confines of the 450-person Hyundai Card Understage. Formed in 2012, the supergroup is composed of Dream Theater drummer Mike Portnoy, Mr. Big bassist Billy Sheehan and prolific guitarist and vocalist Richie Kotzen. Their second album, “Hot Streak,” released last December, hit No. 2 on the US Billboard Top Modern Rock/Alternative Albums and No. 30 on Japan’s Oricon weekly chart, where hard rock songs are a rarity. During this performance, part of a tour to mark the release of “Hot Streak,” many Korean fans will be hearing hit songs such as “Oblivion” and “Elevate” for the first time. Based on the Beggar’s Opera, John Gay’s classic musical satire, Dead Dog in a Suitcase (and other love songs) is busting with wit, wonder and weirdness. An extraordinary Kneehigh cast of actor musicians shoot, hoot and shimmy their way through this twisted morality tale of our times…by turns shocking, hilarious, heartfelt and absurd. The gorgeous and powerful live score combines trip hop and folk, Renaissance polyphony and psychedelia, and ska, grime and dubstep, echoing Gayâ€™s original by plundering the sounds of our times. This modern rendition of the pansori classic “Sugungga” breaks away from the one-singer tradition to feature trio work and a variety of theatrical effects. Kim Myung-gon, the star of the hit Korean film “Seopyeonje” and former minister of culture, wrote the script and performs as one of the singers. The Korean Film Archive is hosting a photo exhibit celebrating a century of Korean cinema at Seoul Plaza next to Seoul City Hall. Korea is an undisputed film superpower – the Korean film industry enjoys the seventh highest sales total in the world, and Koreans are the biggest moviegoers in the world per capita – but many of Korea’s film classics are still relatively unknown to the general public. This photo exhibit is an opportunity for lovers of cinema to survey the development of Korean film. In British playwright Mike Bartlett’s recent drama, “Game,” a young couple who are unable to afford a home of their own are offered the chance to live in the house of their dreams, but with one condition – paying customers, hiding behind one-way see-through walls, can watch them even in their most intimate moments, and occasionally shoot them with tranquilliser darts. The Financial Times called it “a knockout.” This Korean production is directed by award-winning director Jeon In-cheol. Internationally acclaimed American illusionist Franz Harary brings his show to Korea for the first time ever. The man who once made the Space Shuttle appear to disappear on TV will put on his greatest stage spectacle yet. In addition to being a record-breaking illusionist who packs stadiums throughout the world and a recognized TV personality, Harary is also a much sought-after effects designer for some of rock and pop’s biggest stars. Every year, the RAS takes a one-day excursion to Chollipo Arboretum. This year will be no different, but in addition to the arboretum, participants will also try to take in some of the other scenic spots of Taean Peninsula, one of Korea’s most beautiful districts. Crosswalk on Jongno at sunset. 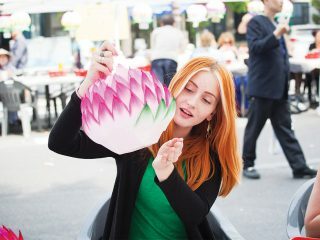 Photo by Robert Koehler of SEOUL.